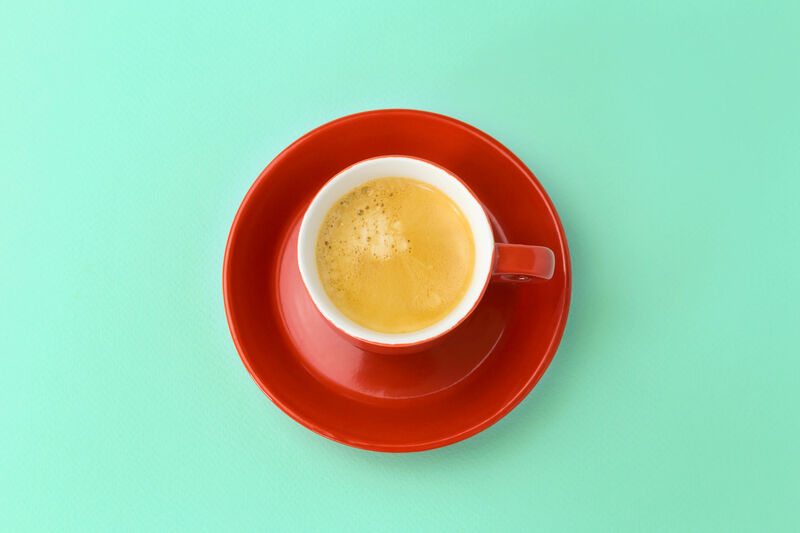 When I started blogging, I found the Nester in the first two days and I was mesmerized. She was funny and quirky and we shared a common love for our homes and how to make them better. I was convinced I wanted to be a home blogger like her. I documented my house projects and tried to figure out how to be the Nester when I grew up. Then I found Melanie. And I loved the way she wrote about nothing—like the Seinfeld show of blogging. She was hilarious and so comfortable in her blogging skin, which was (and is) mostly about going to the grocery store and dealing with dogs and meals and life, with some awesome fashion thrown in. Maybe I could be like her. Then I found faith bloggers. And style bloggers. And food bloggers. I compared myself to all of them, to their writing styles and their photos and their social media presence. I wanted to be everything they were. Then, I wanted to quit. Because it felt too hard and I wasn’t sure where or if I could fit in with my very different background and my very different outlook on life. After years of trying to figure it all out, I quit trying to be like everybody else and ventured into the scary waters of trying to be myself. I’m what happens when the Nester and Melanie and Ann and Christy have a Lutheran, cowboy boot wearing, karaoke singing, Southern appalachian love child with an weird enthusiasm for food and natural health and theology and decorating. I’m a quirky mix of all of them and yet nothing like them whatsoever. In other words, I finally learned to be me. And I do me much better than I do them. And when I settled into doing the best version of me, I found my sweet spot. We’re all guilty of it, let’s just be honest. We look around and see people who seem to have it all. We wonder why we struggle in certain areas, why we’ve been given this particular set of circumstances, why we aren’t more gifted or beautiful, or why everyone else seems to be gliding by so effortlessly, with perfect passion and energy and joy. And if we’re not careful, we start to develop bitterness toward the people we’re comparing ourselves to. Find comfort in this: think of the most wonderful, successful, kind, blessed person you can think of and know that she is comparing herself to someone too—and she’s not measuring up. It’s a pitiful cycle that we can all get caught up in and it steals our joy and contentment. Actually, the women we most compare ourselves to—the ones that seem to have it all—are often the ones who struggle most with insecurity and self-doubt. Lean in, pretty momma, because I have something important to tell you. You are beautiful. You are enough. You are just who God made you to be, in every way. And once you let that sink in, it will slowly begin to change your view of yourself and your interaction with others. Our tendency to compare ourselves to others makes us more self-centered than we ought to be. And once we settle into our own skin—comfortable with who we were made to be—we can finally stop focusing on ourselves and start spending that valuable energy on how we can best serve and love those around us. 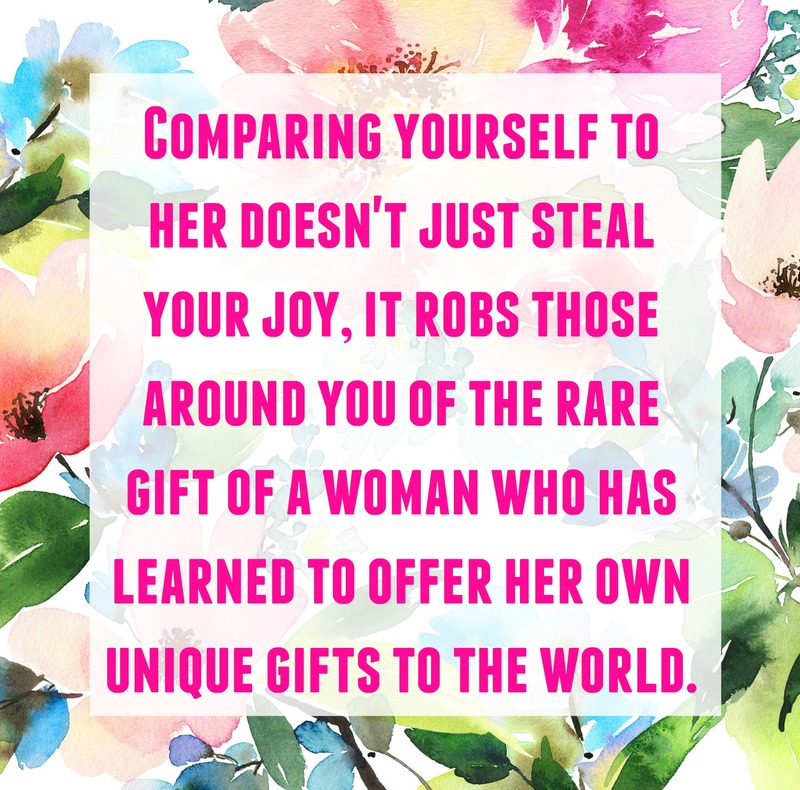 The truth is, comparing ourselves to others doesn’t just steal our joy, it robs those around us of the rare gift of a woman who has learned to give her uniqueness to the world. Lay down the comparison, the self doubt, the insecurity, and start offering your gifts to the world. We need you. And to butcher my favorite song lyric from Bob Dylan, the world ain’t seen nothing like you yet. If you’re struggling with self-doubt, comparison, insecurity, maybe even going through a grown up identity crisis, I think I can help. All those years of struggling to be myself? I took some good notes and learned a few priceless gems along the way. I rediscovered my passion and learned to live with a more purpose and creativity. Most of all, I learned the joy (and the heartache) of offering myself to those who need me most. And I’m still figuring it all out. But I decided to share my cliff notes in a 4 week mentoring/accountability group called O V E R F L O W. This is my first group ever and registration ends tomorrow. You can find out all about it here and here. I can’t wait to meet you there. I am so interested in your accountability mentoring group but I don’t do Facebook? Anyway to do this outside of Facebook? longer than about 5 to 6 sentences. Eliminate formality and language that feels “distant” or stiff. This is such a great post!! I’ve been struggling because so many people, even people I love very much, have been telling me I need to make my blog more “focused” or “helpful”. But I’m writing, because I love writing, and I’m writing about things I care about or thugs that make me laugh and will maybe make others laugh too. I sure can’t see “success” in numbers right now, but I feel like I’m doing what I’m supposed to do anyway. I’m bookmarking this post to refer back to when I’m getting down. Thank you!